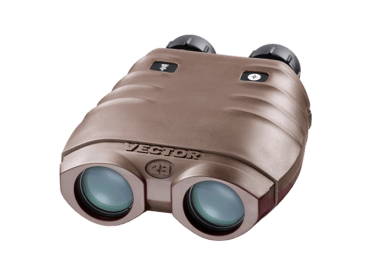 VECTOR IV is a true binocular rangefinder with outstanding day optics, an integrated 3-dimensional, 360° digital compass and a precise class 1 eye-safe laser rangefinder. The VECTOR IV increases the range for distance measurements of up to 6 km. 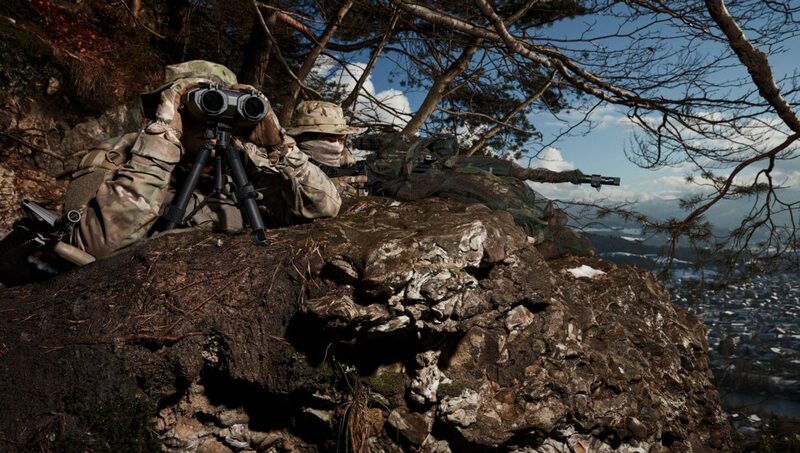 In addition, the 1,550 nm laser is invisible to image intensification devices, providing an added level of security. VECTOR is an easy-to-use multifunctional optronic device that replaces four separate devices. The reduced weight and volume translate into greater mobility, agility and operational readiness. 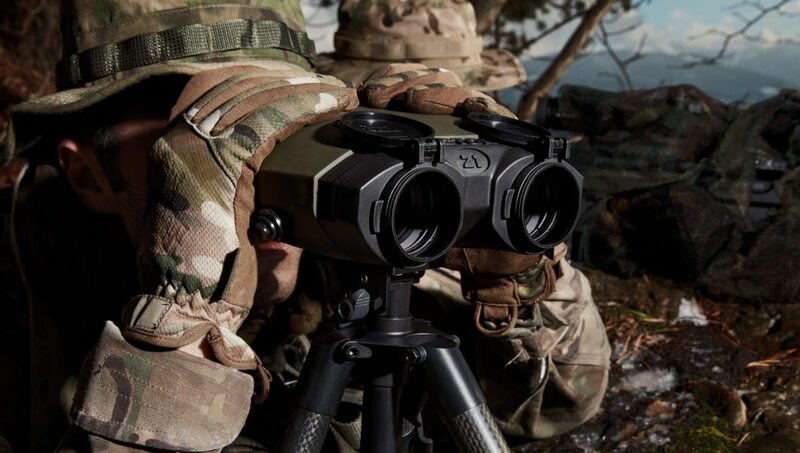 A 100 % eyesafe laser rangefinder: VECTOR IV (diode laser), VECTOR 21 (diode laser), VECTOR 23 (fibre laser). These technologies provide the longest service life and consume the least energy. Two seven times (7 x) magnifying eyepieces. The large exit pupils of 6 mm diameter are extremely easy to place so that both eyes receive as much light as possible. 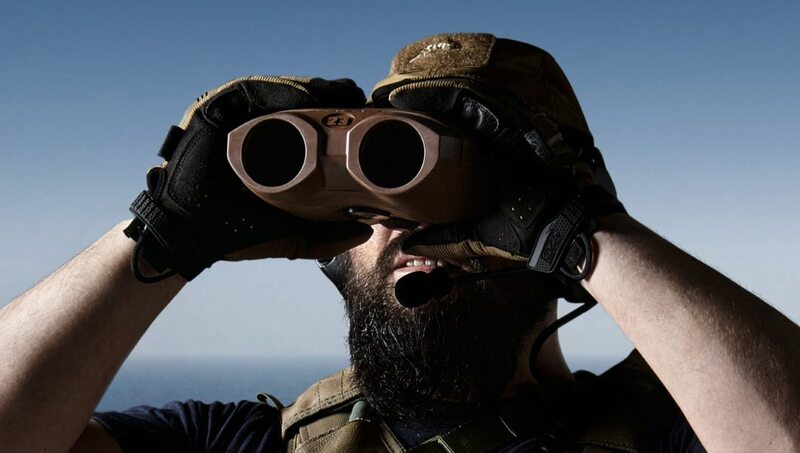 Two 42 mm objectives with extended contrast and resolution characteristics. This wide aperture produces images that are clear and bright – even when scene illumination is not ideal. A digital magnetic compass (DMC) incorporating magnetic and gravitation sensors for azimuth, bank and inclination (±45°). Full three dimensional capabilities ensure correct readings even in inclined and tilted positions. Two-button control reduces the training and retraining effort allowing new users to operate quickly and correctly in any situation. Digital output via RS232 port for instant, errorfree data transfer. 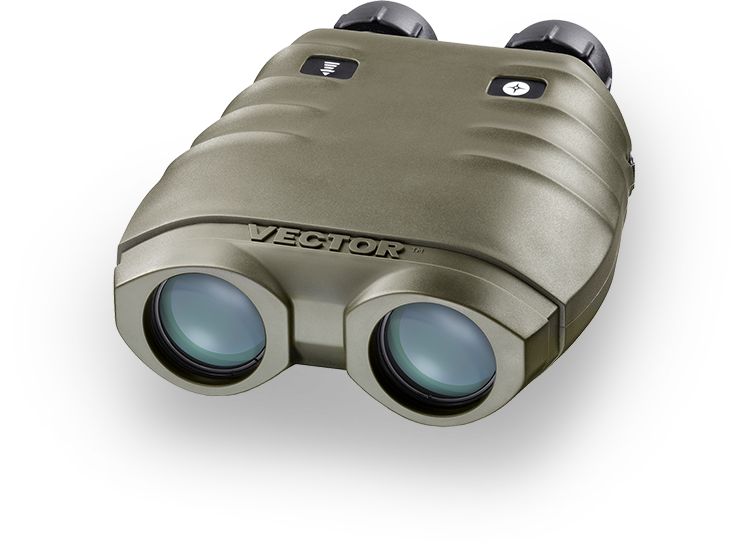 VECTOR IV is a true binocular rangefinder with outstanding day optics, an integrated 3-dimensional, 360° digital compass and a precise class 1 eye-safe laser rangefinder. The VECTOR IV increases the range for distance measurements of up to 6 km. 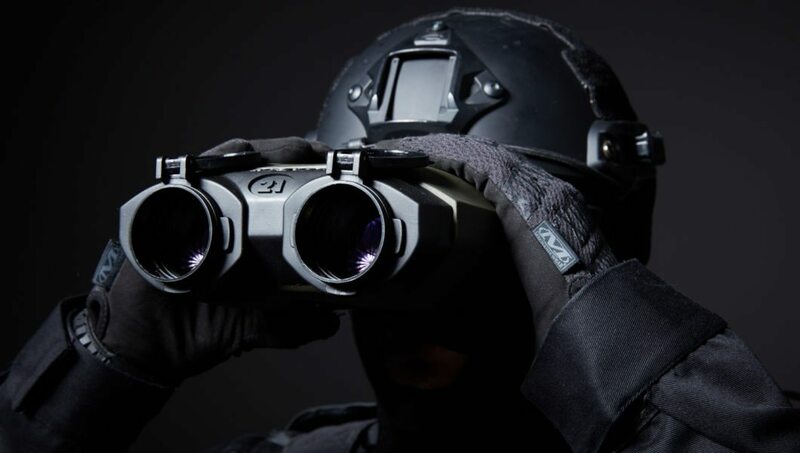 In addition, the 1550 nm laser is invisible to image intensification devices, providing an added level of security. Important: VECTOR is subject to Swiss export control. The VECTOR 21 AERO increases the range for distance measurements up to 12 km. VECTOR 21 AERO allows measuring elevation up to 90°.